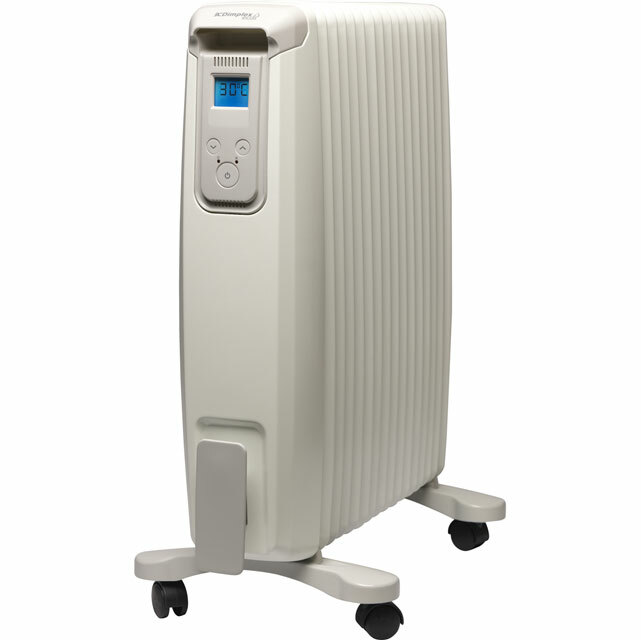 This white Dimplex EvoRad oil free radiator is great for quickly heating the rooms in your home. With a 2000 Watt power output, it’ll keep you cosy and warm, even on the chilliest days. This model has 3 temperature settings to choose from, so you can find your perfect temperature. It has a thermostat which constantly monitors the warmth too, so it’ll begin heating up when the room starts to drop below your set temperature. It even has a timer, so you can arrive home from work to a snug living room. I'm really pleased with this. A really good-looking radiator which heats up quickly and heats the room well. Overall its not a bad heater, warms up quickly and thermostat actually appears to work, unfortunately it was sold with Timer function but it doesn't have a full timer option just how many hours you want it on or how long a delay before it comes on, I thought it would be able to be set for specific times but you can't, bad product description by AO.com. Would have bought the next model up if I had known. Like im going to tell you my name.